The Amazon Mom program is introducing major changes starting on January 24th, so this might be your last chance to get a good deal on diapers or baby wipes from Amazon! 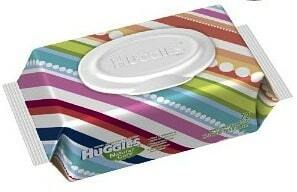 Right now, you can pick up 8 72-count packs of Huggies Natural Care fragrance-free baby wipes for just $12.61 if you're an Amazon Mom and you order with Subscribe & Save. that's only $0.02 per wipe, plus shipping is free!